All patients with NBS present with a characteristic face that was often previously called "birdlike." This facial appearance can be better described as a combination of receding forehead and receding mandible together with a prominent midface. Although these features become more pronounced with age, the lengthened philtrum is obvious even in newborns. In addition, the majority of patients have epicanthal folds, large ears, and sparse hair (2,13). The facial features are perhaps even more striking, since all patients with NBS are also microcephalic. Most patients are born with microcephaly, but in 25% of patients, this becomes apparent only after a few months. Cranial magnetic resonance imaging (MRI) of 10 patients showed decreased size of the frontal lobes and narrowing of the frontal horns of the lateral ventricles (14,15). Reduced brain growth without cerebellar degeneration is the probable cause of microcephaly in NBS; however, there is also premature fusion of the cranial sutures. Mental retardation is generally mild, with most patients having an IQ within the normal range during early childhood, but with progressive retardation as they grow older. Severe mental retardation is not found, and IQ in the normal range can clearly be found in these microcephalic patients (16). There are a variety of cutaneous manifestations, including café au lait spots, vitiligo spots, and even cutaneous telangiectasia in a minority of patients. Limited scleral telangiectasia, more characteristic for AT, is observed in a few individuals. Patients with NBS are small. Growth retardation is seen in all patients, with the majority in the 10th percentile, even though birth weight and size are generally within normal limits. Short stature is apparent by 2 years of age, and has been reported as trunk shortening rather than lower extremity shortening. Body weight is proportional to body height (9). 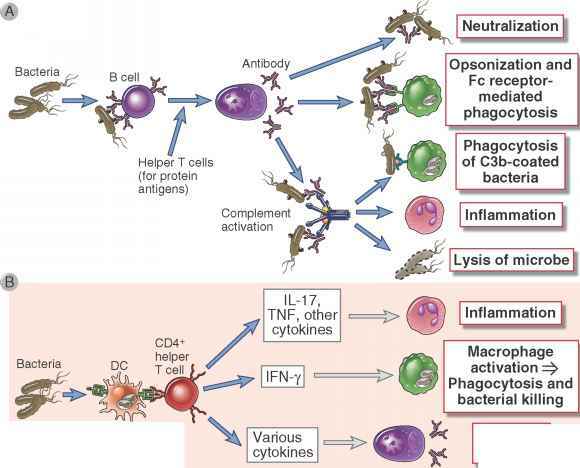 Owing to a deficiency in the cellular and humoral immune systems, patients with NBS are infection prone. There is, however, considerable variation in the immunological status among patients. Some 10% of patients have normal levels of immunoglobulins, but the majority have deficiencies in humoral immunity. Selective deficiencies of IgA or IgG4, alone of in combination, are common. Agammaglobulinemia has been reported for about one-third of patients with NBS. Cellular immunity is more consistently deficient in patients with NBS, and reduced proportions of CD3+ and CD4+ T cells are found in most patients. Consequently, the CD4+/CD8+ ratio is reduced, since levels of CD8+ cells are gen erally within the normal range. T-lymphocyte proliferation in response to mito-genic stimuli is reduced in more than 90% of patients (17). Although ovarian dysgenesis, as evidenced by primary amenorrhea and elevated gonadotropin levels, has been reported in several patients with NBS, the small numbers make the significance of this finding more difficult to assess (7). In AT, gonad dysplasia is also found and correlates with the involvement of the AT gene in meiosis. The same also may be true for the NBS1 gene (see Sect. IV). Patients with NBS are cancer prone (8). Approximately 40% of patients with NBS develop a malignancy prior to the age of 20 years. In the Polish NBS registry, 18 of 48 patients developed lymphoma by the age of 15 years; thus the risk for this malignancy is increased 1000-fold in this age group (M. Dura, personal communication). The majority of lymphomas are non-Hodgkin's lymphomas (NHLs), primarily diffuse large B-cell lymphomas (DLBLs), which are not characteristic for childhood malignancy (18) (M. Dura, personal communication). DLBL is most frequent after the age of 60 years: Immunoblastic B-cell lymphoma occurs in more than 50% of patients after the age of 65 years; centroblastic B-cell lymphoma has a broad range (19-88 years), but the majority of patients are more than 60 years old. Peripheral T-cell lymphoma (angioimmunoblastic lymphodenopathy with dysproteinemia or AILD) has been described in NBS and, again, is a malignancy of adulthood with a range of 16-84 years and median age of 61 years. The only typical childhood malignancies reported in patients with NBS are three patients with lymphoblastic precursor T-cell lymphoma (T-cell lymphoblastic lymphoma/acute lymphoblastic leukemia, or T-LBL/ALL) and one patient with a medulloblastoma. Generally speaking, therefore, children with NBS suffer from malignancies otherwise rarely observed in childhood, and this shift toward an adult pattern of malignancy must be an expression of the defective pathway in NBS. Chromosomal instability is a hallmark of NBS, with somatic cells displaying chromatid breaks and chromosomal recombination figures; in T lymphocytes, these often involve chromosomes 7 and 14 with the breakpoints at the loci of immunoglobulin and T-cell receptor genes. Presumably aberrant lymphocyte clones arise from chromosomal reunions, expand, and undergo transformation to produce the lymphomas of patients with NBS. Lymphomas from patients with NBS have not yet been characterized to this extent, but rearrangements involving breakpoints in chromosome 14q32 have been found in patients with T-cell prolymphocytic leukemia with the closely related autosomal recessive disease, ataxia-telangiecta-sia, in which reunions between chromosomes 14 and 7 are also frequent (19). The particular malignancies found in NBS also can reflect the immunodeficiency of patients with NBS. Treatment of rheumatism by immunosuppression or immunosuppressive therapy following organ transplantation has been associated with an increased risk of NHL (20,21). In mice, aging is associated with changes in the antibody response and also with clonal B-cell expansions that can lead to B-cell neoplasia (22), and various changes in the human immune system with age have been reported (23,24). Possibly, the immunodeficiency of patients with NBS is comparable to this age-related compromise in the immune system, thus explaining their pattern of malignancy. Based on the frequency of malignancy among relatives of patients with NBS, there may be an increased cancer risk in NBS heterozygotes (25). To examine this possibility, the NBS1 gene has been examined for mutations in patient DNA extracted from tumors. No increased incidence of NBS1 mutations was observed in malignant B- or T-cell lymphomas (26-28); however, these analyses looked at children with NHL, and as discussed above, these patients show a different spectrum of NHL subtypes. Several amino acid substitutions have been observed in patients with ALL, indicating a possible role of NBS1 in the pathogenesis of this malignancy (29). Interestingly, allelic imbalance is frequent at the NBS1 locus in colorectal carcinoma, a malignancy with an occurence peak after 70 years of age (30). There is no association between NBS1 mutation and breast cancer (31).